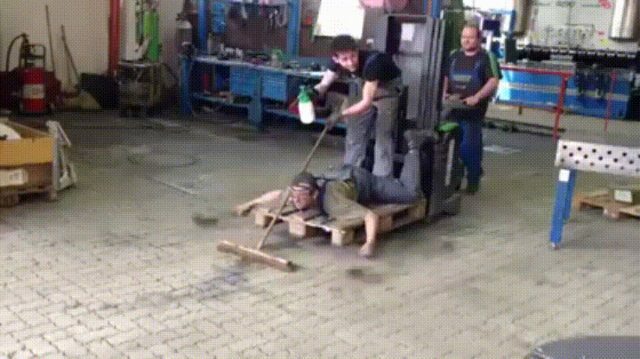 How many men does it take to sweep a floor? Let me get this right: One guy makes the dirt wet. He's also pushing the wet dirt in front of them, only to lose it in the corner. The other guy is sweeping the stuff from the side, neatly underneath the broom, directly under the car? Neat.